Call 518-459-2857 ext. 303 to register and learn about upcoming CarFit® dates. The number of older drivers is growing at a rapid pace. According to the Social Security Administration, approximately 10,000 people a day are beginning their senior years. As we age, changes in our vision, flexibility, strength, range of motion, and even height may make us less comfortable behind the wheel. 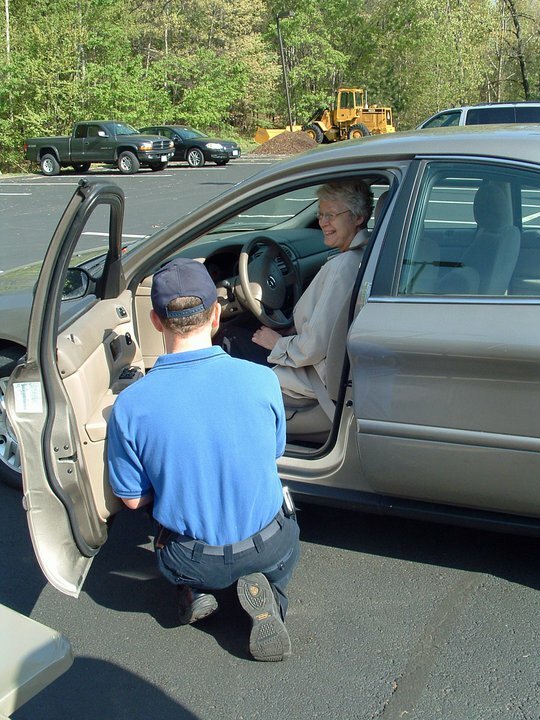 A solution to help seniors cope with these changes is CarFit®. CarFit® is a free educational program designed to help mature drivers learn how well they “fit” with their vehicles. Finding the proper fit in one’s car can reduce injuries as well as decrease the chances of being involved in a crash, which is the primary goal of the program. Simply put, it helps older drivers drive safer longer. A CarFit® screening is performed by two trained technicians, which takes about 15 to 20 minutes to go over the vehicle with the driver and performed with the driver behind the wheel. This review includes, but is not limited to, assisting in correcting any issues that may be present. In addition, an occupational therapist is present to evaluate, show, and suggest adaptive equipment—all designed to make the driver safer behind the wheel.